To create the flower arrangement, I used the Modern Blooms and the Desert Bouquet stamp sets. I stamped the flowers to the background with very light water-based inks. I then colored the stamped shapes with watercolors and inks to achieve this look. I applied a layer of Wink of Stella clear glitter on top of the flowers. 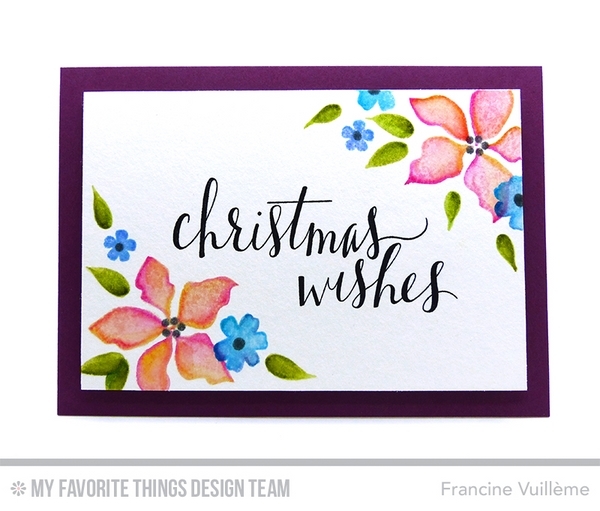 The "Christmas wishes" sentiment is from the Hand Lettered Holiday set. I stamped it to the panel with black dye ink. To finish off my card, I grounded the watercolored panel with foam pads on a Pure Plum card base. 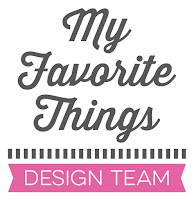 Be sure to check the MFT blog for more inspiration from the design team. wie geht es dir denn? Immer wieder bewundere ich deine tollen Kunstwerke! Immer so farbenfroh und traumhaft schön :) Ich wünsche dir einen schönen Dienstagabend.